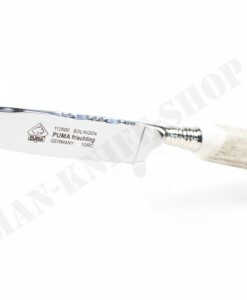 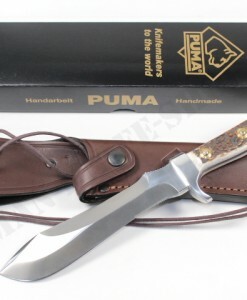 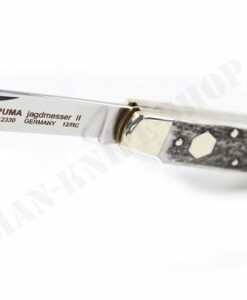 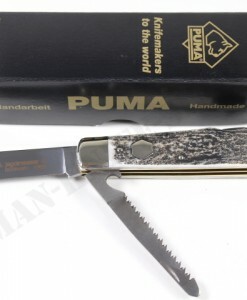 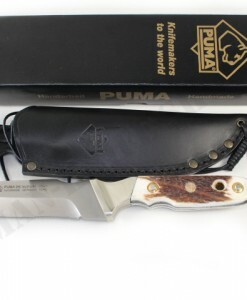 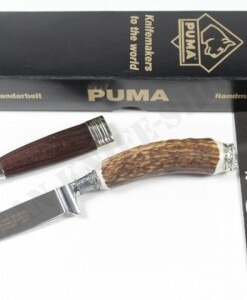 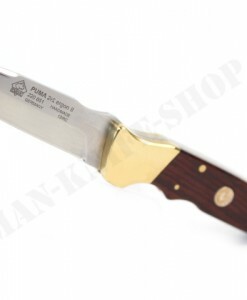 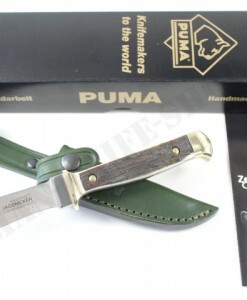 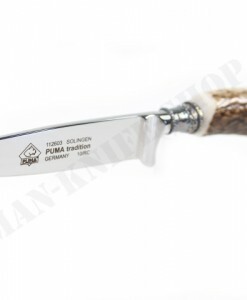 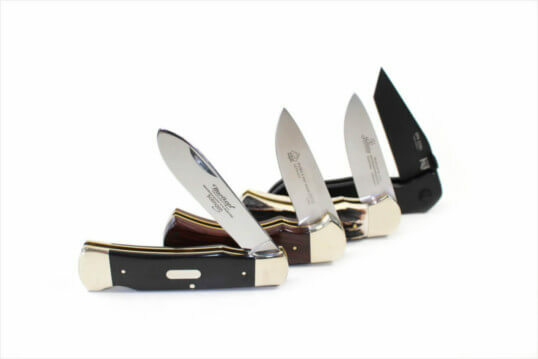 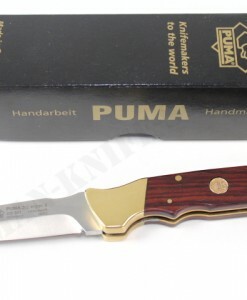 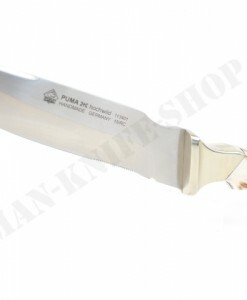 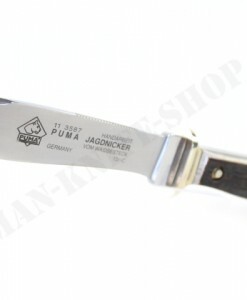 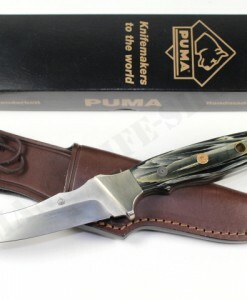 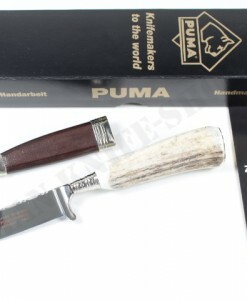 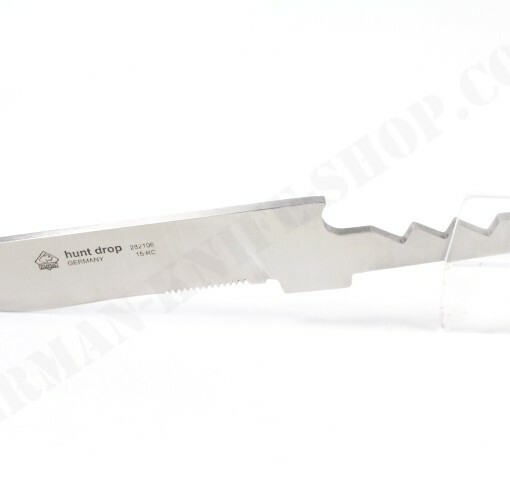 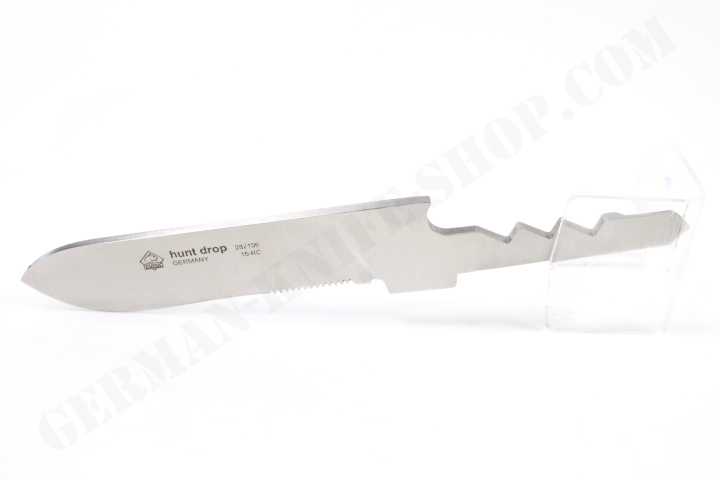 Here we offer an original “PUMA” – Hunt Drop blade fit for the Puma collectors knife model “HUNT WHITE HUNTER ” & also fit for the model “Sport Fisher”. 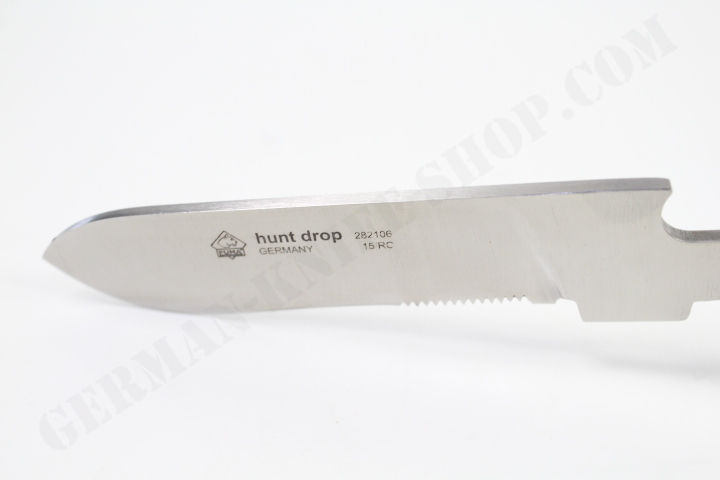 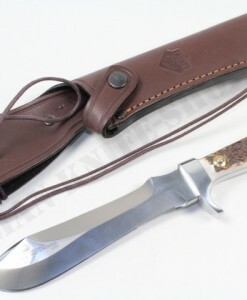 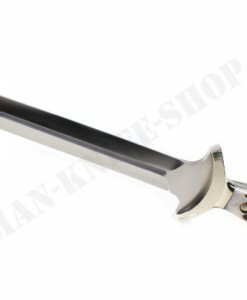 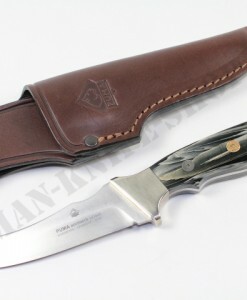 The HUNT WHITE HUNTER / Hunt Nicker blade is made of 440 A stainless steel. 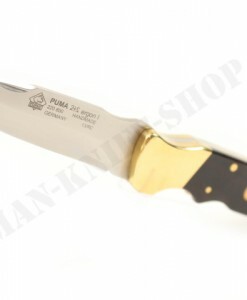 Blade length 3.937 inch (approx. 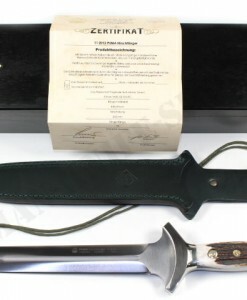 100 mm). 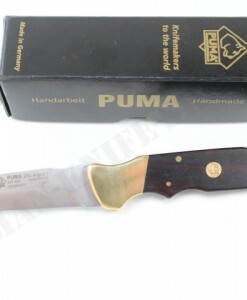 The weight of the blade is: 35 gr.